Orders for products can be placed by calling our office at 732-410-4452 or online through our webshop. Our office is open Tuesday – Friday and one Saturday a month. All orders will be processed within 2 business days. We ship all products through the United States Postal Service. Currently, we only ship products within the United States. Shipping rate is $8 for USPS priority shipping. We do provide FREE shipping for orders over $85! PoreInfusion products may be returned within 30 days for a full refund, provided they have not been opened and/or used. There will be no returns accepted without a return authorization. To obtain a return authorization, please contact our office at 732-410-4452. 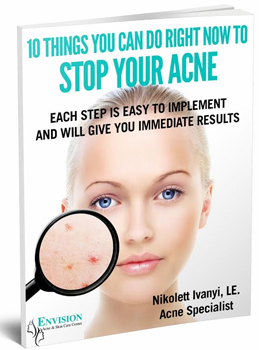 If products have been opened and used, it is mandatory to speak with an acne specialist before a return authorization can be obtained for your products. As always, if any stinging or burning is experienced with any product(s), wash off immediately and contact the clinic for instructions.